It’s no secret that Korean restaurants, or Korean barbecues in particular, have gained a lot of attention nowadays. And why not, right? They’re cooked fresh, are delicious, and often come with unlimited sides or banchans. And more recently, I’ve discovered a new Korean restaurant in Quezon City: Dokkebi Korean BBQ. Located along N.S. Amoranto Ave, Banawe, Dokkebi Korean BBQ offers 8 flavors for their samgyeopsal and awesome noodle dishes that will definitely fill your tummies and whet your appetite. Step up your samgyeopsal game and go full on with flavor. 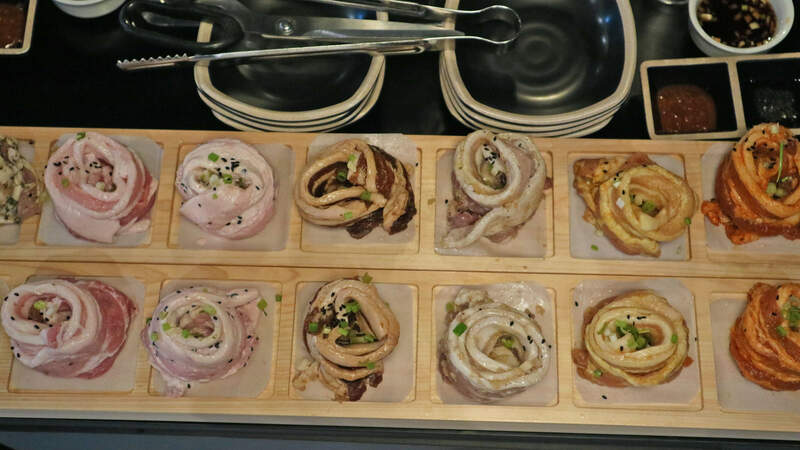 And as luck may have it, Dokkebi Korean BBQ offers 8 flavors for their pork belly samgyeopsal. It’s not unlimited but servings are quite generous for the price. For only Php 1,450.00 per set, get 8 flavors of samgyeopsal with 110 grams per flavor. That’s 880 grams of pure pork goodness! Good for 3-4 hungry diners. While I think some flavors need to be enhanced,, I found the set pretty satisfying. I loved that the pork belly was sliced thinly and did not have too much fat. Out of the eight flavors, my top three would have to be the herbed, teriyaki, and curry. As I found them to be the most flavorful and savory. And here’s some extra great news foodies! Dine with them on Mondays until October 15, 2018, and get Buy 1 Take 1 on their 8-Flavor Pork Belly Set. Promo applicable too for the 4-Flavor Pork Belly Set. Overall, Dokkebi’s Samgyeopsal is pretty good. Light and tender, had a nice bite everytime. Ambiance was clean and cozy. Staff and service was commendable! 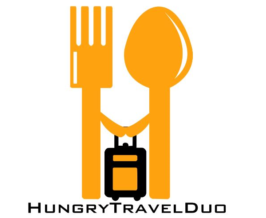 They were friendly, attentive, and very knowledgeable about their food. I’ve always love collaborations. Personally I find them quite interesting because they propel product innovation and creativity. So hearing about the newly-brewed partnership between Dokkebi Korean BBQ and CoreCrate Intl, the people behind Samyang Noodles, made me really excited. The deal? 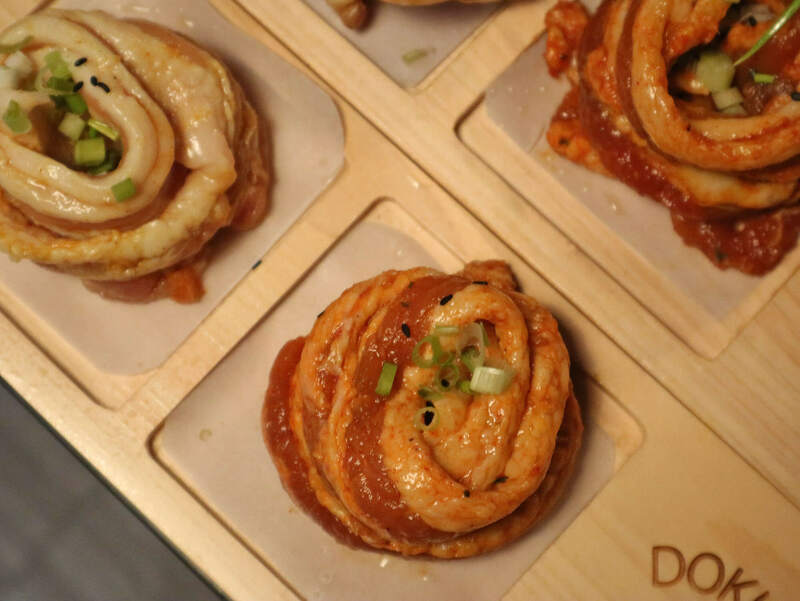 To compliment the authentic Korean food served in Dokkebi, CoreCrate has formulated special menu items that will feature their bestsellers. Both Karla and I are spiceheads (remember our recent feature on the all new Max’s Spicy Chicken)? 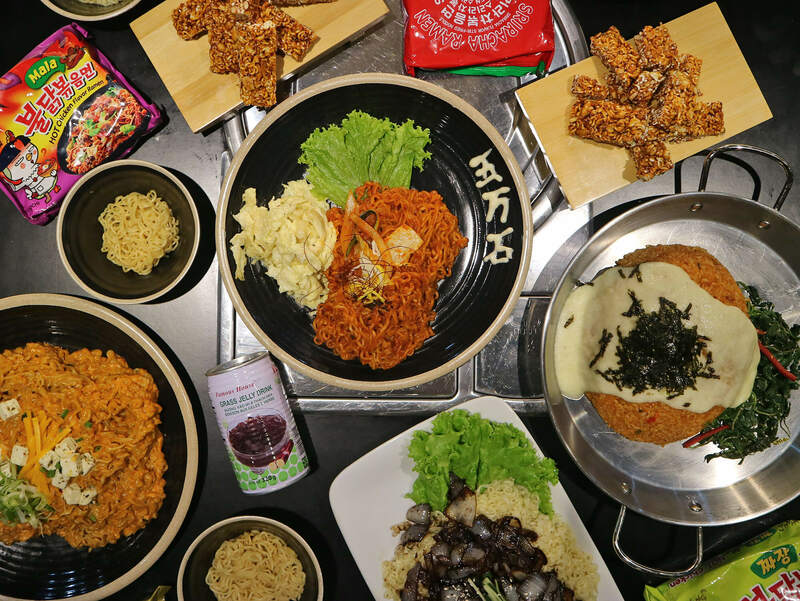 So innovating our favorite Samyang Noodles into amazing dishes is a real treat! CoreCrate Intl is primarily engaged in sourcing, importing and distribution of food and non-food products. From noodles, snacks, beverages, candies, condiments, etc. It was established in April 2017 and sources from neighboring Asian countries like Taiwan, Korea, Hong Kong, and Japan. 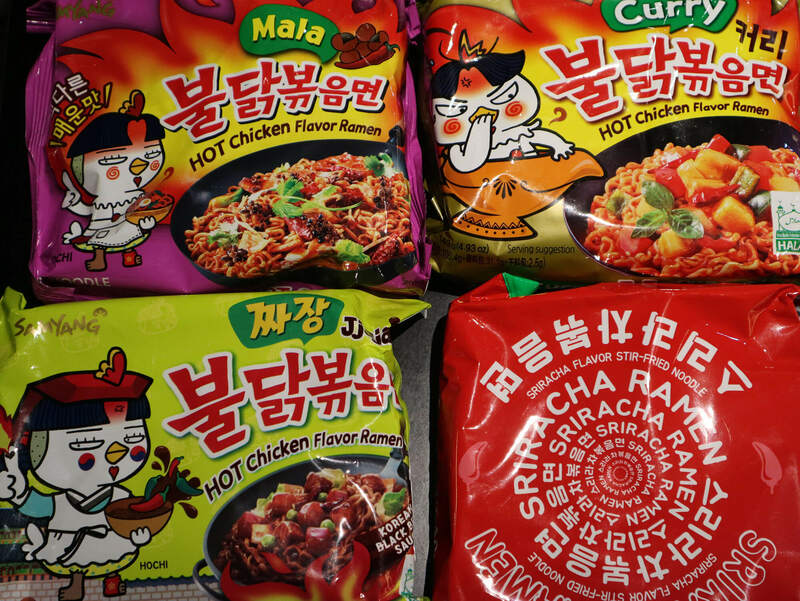 One of CoreCrate’s main products is the highly-viral Samyang Spicy Noodles. By now you’ve probably heard or even tried the #SpicyNoodleChallenge yourself. And why shouldn’t you? It’s hot and quite tasty! But here’s the thing. Did you know more than the famous 2x Samyang Noodles, Samyang also has other variants for you to try? Like the Carbonara, Sriracha, Curry Hot, and even the 4x Mala Buldak? Well, if you didn’t know, then you can certainly try them in Dokkebi Korean BBQ. I totally enjoyed the Carbonara and the Curry Hot. The Carbonara was light, had a mild kick, and extra creamy. While the Samyang Curry Hot had a good aroma and creamy-curry taste to it. You can order these two variants as Fire Chicken Pasta with Bacon and Feta (Carbonara). And Hot Chicken Pasta Ricewith Mozarella (Curry Hot – my absolute favorite). As a bonus, the Fire Peanuts with Sesame Seeds was an interesting dessert! 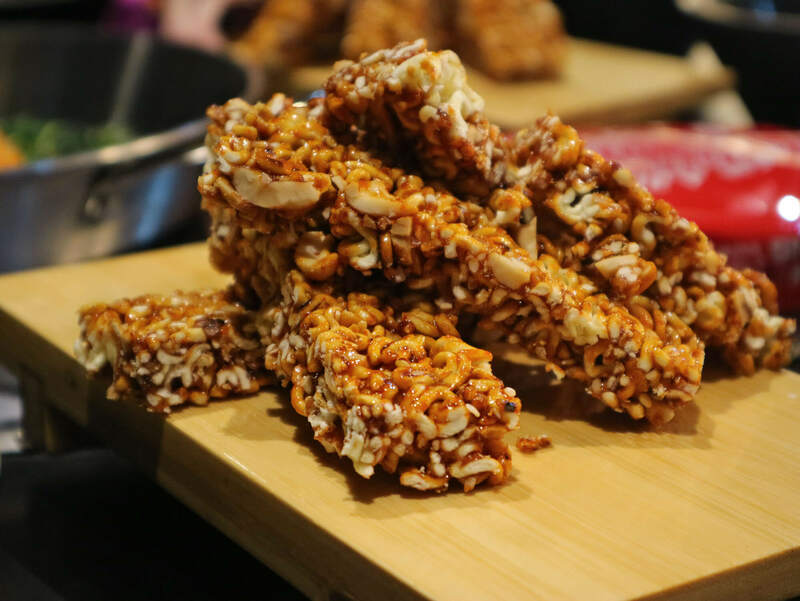 Sweet, salty, and spicy – a real party in my mouth! Winner Food Products Ltd. is a Hong Kong-based food manufacturing company established in 1968. They’re known for their instant noodles, frozen dim sum and spaghetti, and chilled foods like meat balls – all carried under the “Doll” brand. 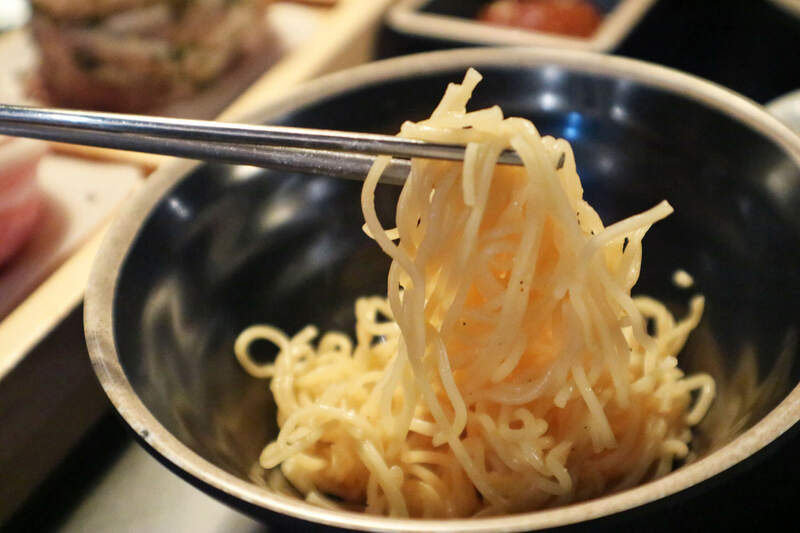 As part of the special menu with Dokkebi Korean BBQ, we had the chance to taste two of their bestselling Doll Instant Noodles. These are the Supreme Lobster and Cheese and the Supreme Abalone and Chicken Flavours. Both were served as noodle soups and I must say, they are extra delicious. Never would have I thought they came from instant packets. Although I must admit I enjoyed the Lobster more. The lobster flavor was very distinct and the creamy taste of the cheese was a good ‘salty’ addition to it. 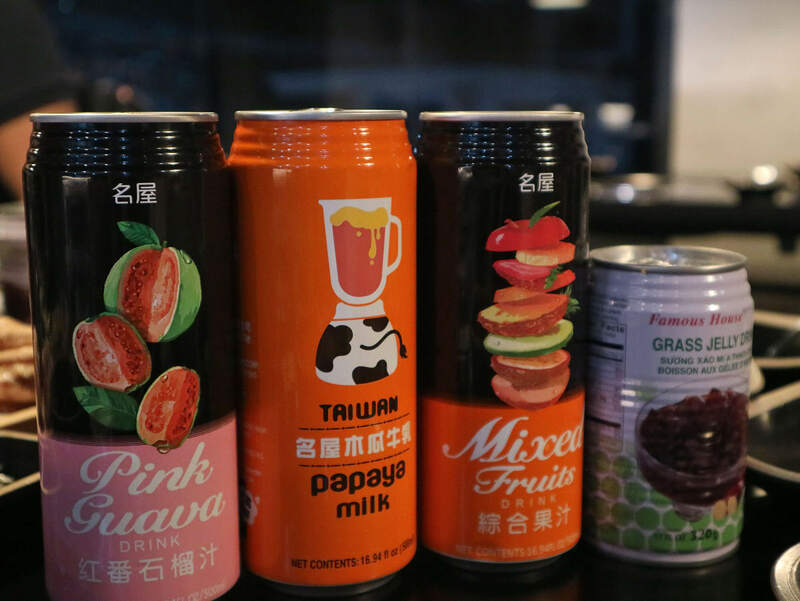 Established in Taiwan in 1982, Famous House is known for their leisure drinks and snacks. During our dinner at Dokkebi, we spoiled ourselves with all the thirst-quenching drinks from Famous House. From their Fruit Juice Line, my top picks were the Guava and the Mixed Fruit. And from the snacks category, absolutely loved all four variants of the Grass Jelly. I’m a sucker for anything that taste like my favorite sago’t gulaman or wintermelon, so the Grass Jelly was a hit to everyone! I wasn’t able to taste anything from their milk drink series. But I heard the Papaya Milk is a must-try. All in all, I would totally recommend dining at Dokkebi Korean BBQ. Good food quality, authentic Korean taste, at pocket-friendly prices. While you’re at it, do sample some of our recommendations amongst the special menu collab with CoreCrate Intl. Another Korean restaurant in Quezon City to add to my list of favorites. Happy Eating! Vertis North Restaurant : Zoo Cafe- Wildly Awesome!